BleachHouseLibrary.ie: 'Still You' by Claire Allan. Book Review and Giveaway. 'Still You' by Claire Allan. Book Review and Giveaway. Thanks to the author, I have a fantastic prize pack for one lucky reader. 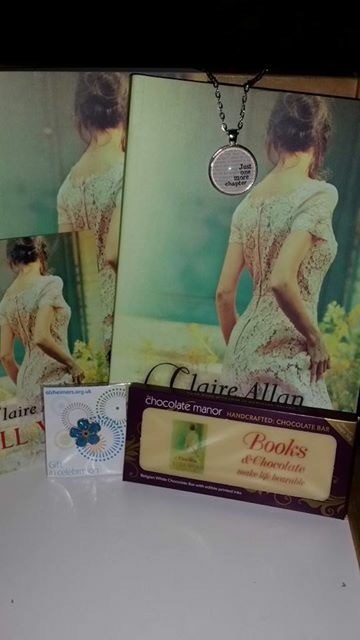 There is a signed copy of Still You, a beautiful book-lovers necklace, a swanky bookish bar of chocolate and an alzheimers.org.uk charity pin. Just enter via rafflecopter link below. Good Luck! This dual-time story flicks from 1960's UK and Italy, back to the present day. Áine and her sister, Charlotte are like chalk and cheese, with one escaping the mundane, pre-planned life while the other stays at home to keep the cogs turning at home. When tragedy strikes, Áine's life takes on new meaning and she sees herself in a very different role. Family attitudes and expectations are forever hovering on the peripheral, yet she aches to be loved for herself. Back in the present day, Georgina can see chinks of what she imagines is the real Áine, through the steady confusion of dementia. 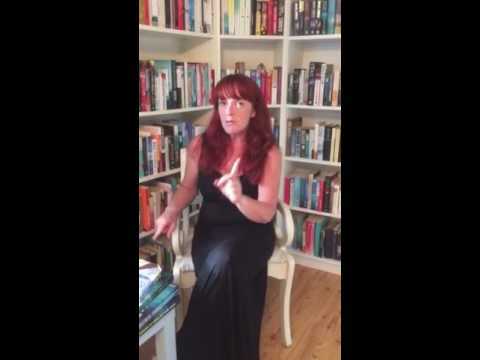 She knows that Áine is a woman of character and has her own distinctive story, but can also see how her past is being gradually eaten away by her disease. She knows that the job of carer has its limitations, and ignores recommended protocol and employment guidelines, instead focusing on befriending her client. Her own life is in limbo, so the two women have something different to offer each other. 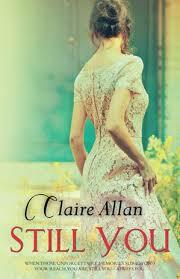 Claire Allan has a way of bringing her characters to life, in her own distinctive way. She avoids over-sentimentality and instead focuses on the narrative. There is a warmness within her words and an appreciation of the individuality of her character's stories. Áine is a charming example. While some would see alzheimer's patients with a broad-stroke view of dismissive indifference, the author added depth to the narrative. While some writers portray carers as slaves to martyrdom, this novel shows these workers as regular, everyday men and women who just want to earn a living, while helping others who can't help themselves. Georgina and Áine are an unlikely duo, but they need each other equally. They bring out the best in each other, while dodging days of confusion and despair, yet through it all, hold their dignity as much as possible. The extra characters are there to help balance the overall tale and the split time-frame is great. I did find myself wanting to read more and more about Áine's past and flicked through the book with great gusto. There are elements for those who love a good romance, but for me, this was a story of personality. The one we are born with, carry forward through our teenage years, into our adult lives and which makes us who we are. This is the story of what happens when that personality starts to lose its grip, and becomes muddled up, out of control. Will people remember that you are still you? Still You is published by Poolbeg Books and is available in trade paperback and ebook format. You can order your copy, with Free Worldwide Postage and 22% discount, here. Fab review Margaret. Having read all of Claire's previous books this one is on my wishlist but was waiting for regular PB so fingers crossed. I love the cover of The First Time I Said Goodbye. I love one person's description--like a hug in a book. Great review, I'd love to read this book! "The First Time I said Goodbye." The First Time I Said Goodbye.